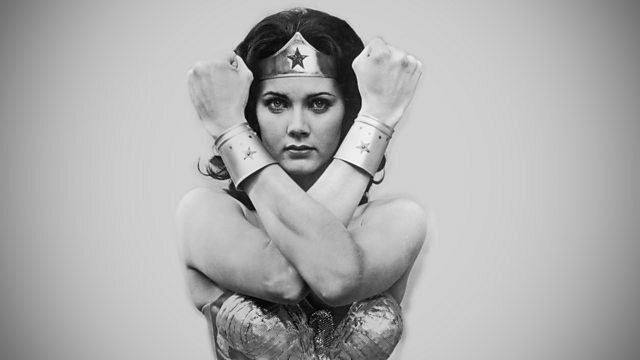 Matthew Sweet discusses the powers of Wonder Woman and the claustrophobia of submarine films, and Rebecca Solnit talks about 'mansplaining' - men explaining things to women. American author Rebecca Solnit discusses the impact of "mansplaining" which she explores in her book Men Explain Things To Me. Matthew Sweet looks at the image of Wonder Woman with comic artist Steve Marchant and Jill Lepore, author of The Secret History of Wonder Woman. New Generation Thinker Dr Will Abberley discusses the literary traditions followed by submarine films from Jude Law's new cinema release The Black Sea to Das Boot and The Hunt for Red October. You can download this programme by searching in the Arts and Ideas podcasts for the broadcast date. American writer and academic Jill Lepore and cartoonist Steve Marchant. American author of Men Explain Things To Me.